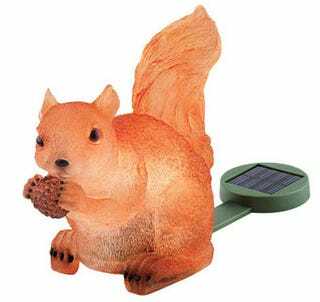 It is among my few regrets in life that I don't have a front yard, only in that it limits me from unleashing an army of solar-powered squirrels on the neighborhood. Imagine, if you will, standing behind a legion of weather proof, poly-resin rodents that operate off free energy. What in the world would not be mine for the taking, as presidents and kings alike bowed to the power of the amber LEDs or simply broke into tears at the unparalleled beauty of 3,000 squirrel soldiers all adorned with the same hand-painted finish?